Dematic has announced the launching of its Dematic Service web-store, created to cater to the computing accessories needs of Australian and New Zealand businesses. Dematic is a global engineering and logistics automation company that provides intelligent logistics solutions for manufacturing and distribution. According to the media release by the company, the new web-store allows for 24/7 access to mobile computing accessories providing warehouse and distribution centre managers with the opportunity to order and pay for mobile computing accessories online. The rapid purchase process eliminates expensive and disruptive downtime, so customers can make their purchases with their existing Dematic account, review their recent purchases and reorder commonly consumed accessories. “In the past, customers were required to contact our parts and accessories department to request a quote and determine the exact accessory required. Now with the new payment facility and access to our extensive range online, they can purchase mobile computing accessories quickly and when they need them. Dematic’s best-in-class accessory portfolio allows customers to search accessories from all the major industry vendors from the one website,” said Steve Coates, Dematic Spare Parts Manager. 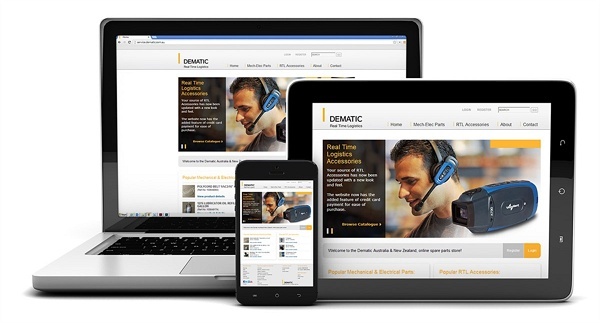 “At Dematic, we are excited to offer the Dematic Service web-store to any organisation in Australia or New Zealand that need mobile computing accessories delivered in a timely and convenient manner,” Mr Coates added.